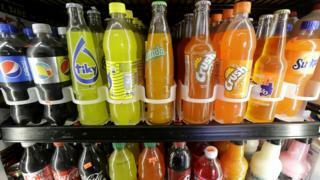 The World Health Organisation (WHO) has added its support to countries which place a “sugar tax” on soft drinks. A new report from the body found that raising prices by 20% or more results in lower consumption and “improved nutrition”. The global health group has previously advised a a lower sugar intake, but stopped short of backing tax measures. Several countries, including Mexico and Hungary, already tax added sugar products. The WHO said it wants to see lower consumption of “free sugars”, which it said will lower incidences of obesity, diabetes and tooth decay. “Free sugars” are all the different types of sugar in the diet, except for the sugars that are found naturally in fruit and milk. The WHO’s nutrition director, Dr Francesco Branca, said “nutritionally, people don’t need any sugar in their diet”. He recommended sugar intake be kept below 10% of a person’s total calorie intake – and preferably below 5%. However, the group said taxation or other financial measures should only be used on items “for which healthier alternatives are available”. Its findings are based on a meeting of global experts and a review of the available evidence. The report also found that government subsidies for fruit and vegetables – which lower prices – can increase the amount people eat. It also said that the same tax measures levied against sugary drinks appear to work with other sugary foods, as well as those high in saturated fats, trans fats, and salt.